Sunday, 27th October I was invited by Omar Niode Foundation to The Dharmawangsa Jakarta Hotel for having super brunch with them and also Chef Vindex who is the executive chef from The Dharmawangsa. First of all, I want to tell a little about Omar Niode Foundation.. The Omar Niode Foundation, based in Jakarta, Indonesia, was officialy formed in 2009 in memory of Omar Taraki Niode (1984-2009), and is dedicated to social and educational purpose. Legalized by The Ministry of Justice and Human Rights, Indonesia under Decree No. AHU-850.AH.01.04, this non profit organization began it's work with an endowment fund from Omar's hard earned, savings and amied at generating and providing resources for programs and activites in agriculture, food, and culinary arts. 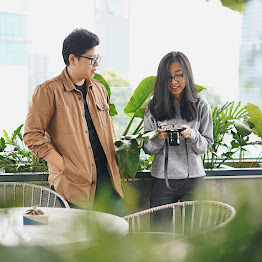 VISIONAn organization that play's a role in increasing the quality of learning tools as well as the quantity of competent and qualified Indonesian human resources in agriculture, food, and culinary arts. MISSIONSTo facilitate and to provide scholarships and awards in the field of agriculture, food and culinary arts for individuals, and for students, faculties and staff in higher education Institutions. To aquire and to distribute educational tools and materials and access to information on agriculture, food and culinary themes that will benefit teaching, learning, research and public service. To encourage networking among agriculture, food, and culinary stakeholders including the government, the private sector and the civil society. OMAR TARAKI NIODE M.SC. THESIS SCHOLARSHIPS - Merit and need based scholarships for students majoring in food and agriculture who are in their last year and in the process of writing their thesis. OMAR TARAKI NIODE M.SC. TRAVEL AWARDS - On certain occasions the Foundation provides or facilitates travel awards for students, university staff, researchers, lecturers or individuals to participate in educational visit, training or seminar that aim at strengthening agriculture, food and culinary arts education in their organizations. BOOKS AND PUBLICATIONS - Omar Niode Foundation publishes books on a variety of subjects, with interest on agriculture, food and culinary themes. With donors assistance, books will be distribute free of charge to educational institutions and learning organizations. CHARITIES - Donation to, and learning activities with charity organizations and orphanges. EDUCATIONAL FACILITIES - The Foundation collaborates with donors to provide educational and tools and equipment such as books and computers to selected universities especially in Eastern Indonesia. PUBLIC EVENTS, SEMINARS AND WORKSHOPS - The Foundation participates in and sponsors food and agriculture related meetings to encourage more students and public interests in the subjects. wheat blinis, cream fraise, chives, cooked egg yolk and white. The tempura selection are prawn, squid, fish , vegetables and mushroom they are well coated and perfectly fried, they're not oily and crispy of course, served with soy sauce and ginger, classic tempura which made my mouth ready to have another meal, great tempura ! And let's go to Live Seafood Station.. all seafood here are served cold and fresh, I try their Lobster in Balinese Sauce, which is really good, the lobster is fresh and spicy too you can have it with Sambal Matah or Sambal Dabu, delicious, and they also have Crayfish in Red Curry, crayfish is kind of lobster but smaller and the texture is more like prawn, they're all good :D and I really love the smoked salmon, hmm taste so delicious ! This is a roast beef, not the prime cut but still great, the beef is tender and there's a lot fat which make it more delicious, served with many kind of sauc, but mushroom sauce is the best, served with mashed potato and yorkshire pudding, special ! I really like the beef and sauce and also the side dish which just like eclair, unique ! Vine ripened tomato crusted sea bass fillet with leek fricassee and ginger beureu blanc is one of the best dish from Jakarta Pergola Kitchen, they cooked well, have a great texture and taste of course, beside it there’s rosemary grilled chicken that taste perfect too, the chicken is tender and the sauce is awesome, don’t forget their Roasted Angus Beef Tenderloin that served with lobster ravioli and truffle jus, OMG they’re all mouthwatering ! Superb dish !! Mini egg benedict with spinach and smoked turkey really made my day, perfectly cooked egg benedict taste great combined with spinach and smoked turkey is more than I can imagine, they’re good really good..
From Chinese station we can have Pecking Duck, I think I don’t have to explain this, we know they’re a great dish.. beside pecking duck they also have dim sum and noodles.. Hot and sour ribs noodle, one of my favourite this among this Super Brunch, I love the noodle texture, but still the broth is perfect ! And the ribs is so tender, served completely with vegetables and the garnish, taste hot and sour, I really love it, I’ll miss this noodle ! And from Middle Eastern Station they have Kebab and Prata Bread with Butter Chicken, Lamb Mandi and Potato, middle eastern cuisine usually have strong spice and here they all taste strong but when combined together they become a harmony in my mouth, really love the spice ! Let’s move to the Cheese Station ! There are wide variety of cheese which I don’t know one by one, but no doubt all kind of cheese taste great, but I more like cheese as dipping, and you can dip traditional bread with mozzarella cheese which is…. Heaven ! yeah I love cheese ! From Sweet Area, you can find a lot of sweet army, personaly I don’t really like cake, but here you can find a lot classic cake like cheesecake, blackforest and many more, they also have many kind of macaroons and some cute dessert served in cone and taste like mousse, I love the colour of their sweet area, it’s a paradise for dessert lovers.. But I can’t say no to soufflé, chocolate soufflé here is perfectly baked, so soft and have great aroma, I can’t wait to eat them, end this Super Brunch with soufflé is really unforgatable !! At last, I just want to say thanks to Omar Niode Foundation already invited me in this Super Brunch, and also to Chef Vindex who give us a lot of knowledge about food and The Dharmawangsa Jakarta to held this Super Brunch, we wait for your next event !